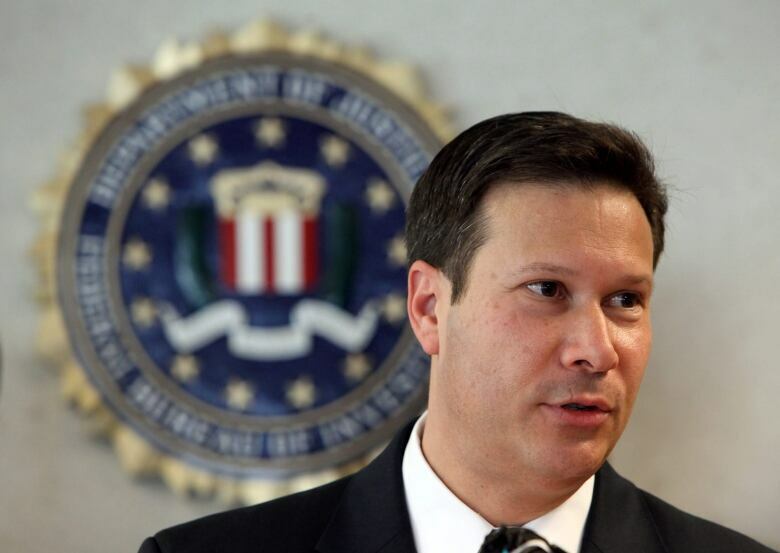 Former high-level FBI official Frank Figliuzzi says the evidence is mounting that U.S. President Donald Trump didn't just benefit from interference in the 2016 election — but that he could actually be working to benefit the Russian state. U.S. President Donald Trump's ties to Russia are once again in the spotlight — and the FBI is on the case. The New York Times reported over the weekend that the FBI had opened an inquiry into whether Trump was working on behalf of Russia and whether the president posed a threat to national security. 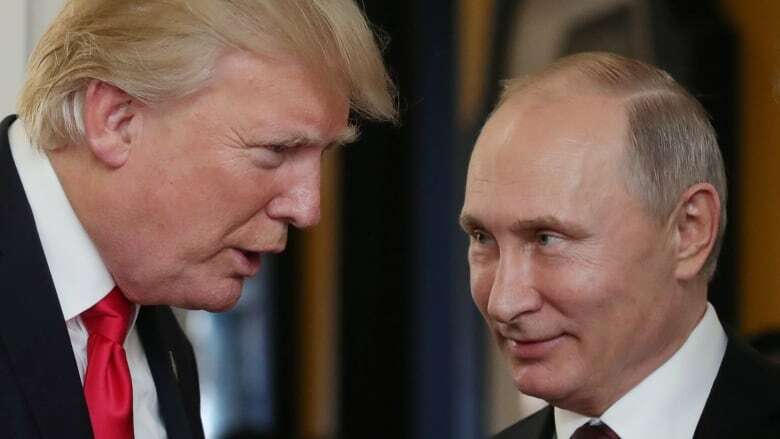 The news comes on the heels of a report fromthe Washington Post that claimed Trump has repeatedly tried to hide details of his discussions with Russian President Vladimir Putin. Frank Figliuzz, former assistant director for counterintelligence at the FBI and current chief operations officer at ETS Risk Management, spoke to As It Happens host Carol Off about the investigation. Here is part of their conversation. In your time at the FBI, could you ever have imagined starting an investigation of this kind into whether a sitting president was working on behalf of a foreign power? This is truly an extraordinary development in extraordinary times. Counterintelligence professionals always think about the what-ifs, the possibilities, and we're well aware that the goals of foreign intelligence services are always to penetrate us at the highest level of government — to attempt to influence the highest circles and decision making groups. But I have to honestly tell you, in my 25 year career in counterintelligence, the notion, even contemplating the notion that the president might actually be playing for the other team really never came on our radar screen. You've looked at what the Washington Post and others are reporting as to what led to this opening up of this counterintelligence investigation. What alarm bells went off for them, in your view? Well, we have the obvious, which is the public conduct of the president that has us all kind of scratching our heads. But much of that, quite honestly, developed even after the firing of FBI director James Comey and beyond and continues to this day. So as someone who has sat in that seat and has had to make the decisions on case openings and closings — if my team had walked into my office and said, "Boss, we think we have enough here. We think it's time to take a look at opening a case to determine if the president is being influenced, recruited or has already been recruited or co-opted" I would have wanted more than his public behaviour. My gut tells me that in order to do this, they had other indicators of a highly classified nature. Whether they were intercepts, electronic intercepts, whether they were sensitive human sources, whether they were allied governments sharing their intelligence with us — Russians, perhaps, intercepted talking about the president as if he were theirs or as if they had him on their side. I think that would have combined with public behavour to make a case for going to the Department of Justice and convincing them to concur with the opening of such a case. Now, perhaps the most pressing bit of, I guess, evidence or concern, is that Mr. Trump had a session with Mr. Putin that no one but interpretors were allowed to attend and then he seized the interpreter's notes afterwards and swore the interpreter to secrecy about what happened in the meeting. What alarm bells do you think went off for the FBI when they heard that? There is no lawful reason to seize the translator's note and to keep this meeting private, even from his most trusted confididants. To the outside observer, he's acting against his own interest as president. So we're left to wonder whether he is acting in his own personal interest when he acts like this. One question I have and that many lawyers are wondering about is whether, perhaps, special counsel or some other body, perhaps the House of Representatives, will consider issuing a subpoena for that translator to either testify or produce notes. But if it's not in Mr. Trump's political interest, it's not in the White House's interest, it's not the public's interest — it can only be possibly in the personal interest of Mr. Trump. What does that say to you about this idea of whether or not he has been co-opted? Yeah, he's not helping himself with his behaviour. It leads counterintelligence professionals to conclude that there are other agendas at work here. And so a personal discussion with Putin for two hours — and by the way, Putin's a man who came out after that discussion in Helsinki and was asked a question by a reporter, which was, "During the campaign, did you tell your government to throw their support behind candidate Trump?" And his answer was one word: "Yes." That means that the entire power of the Russian government was supporting candidate Trump. Those of us who study Russia understand what that means and the gravity of that. That the intelligence services, the oligarchs, everyone is all hands on deck to support this candidate. So when the president has a two-hour private meeting and refuses to discuss what transpired in that meeting, we're left to wonder the worst. Written by Chris Harbord and John McGill. Interview produced by Chris Harbord​. Q&A has been edited for length and clarity.